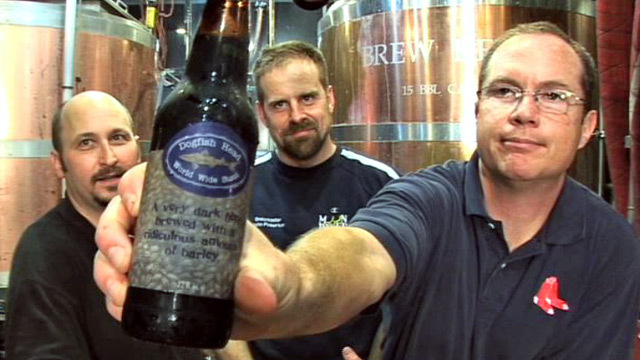 Dogfish Head: World Wide Stout – Ep. 75 | Beer America TV - Craft Beer in Motion! Please get David an e-mail! Have to try this one with out shots on the side…not needed! Looking for a second J.Ski for next year at the lake! You guys are great. I am a beginner brewer at home. My goal is to brew enough quality beer for myself and friends to sit on the porch, pick a few tunes and enjoy. You guys sometimes talk over my head with the technical aspects……but I am learning from you. Keep up the good work……keep me laughing and CHEERS!!. Hey Frank, thanks for the comment! You’re probably not learning much from me, but John on the other hand is a fountain of brewing knowledge and David is well connected! Thanks for watching and good luck with your own brewing! !